Sloane & Company and Kekst and Company worked M&A PR for Dow Chemical's $810M sale of its AgroFresh specialty chemicals business to Boulevard Acquisition Corp., a publicly traded investment vehicle of Avenue Capital Group. Collegeville, Pa.-based AgroFresh, now AgroFresh Solutions, offers chemical products and services for the fresh produce storage and transport markets. 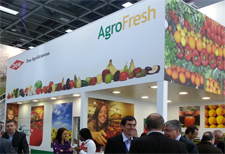 The sale, announced in late April, closed on July 31 with Boulevard taking the AgroFresh name under the Nasdaq symbol AGFS. Sloane senior VP Erica Bartsch represented AgroFresh on the PR front, while Kekst SVP Todd Fogarty worked the Boulevard side. The deal included 17.5M shares of boulevard and $635M in cash.